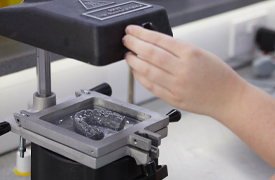 Producing clear aligners and retainers is a valuable service that requires little initial investment from practices and labs alike. Treatment planning for these appliances is done using CAD software, then each substep of the treatment is fabricated by 3D printing a model, and thermoforming over these models. 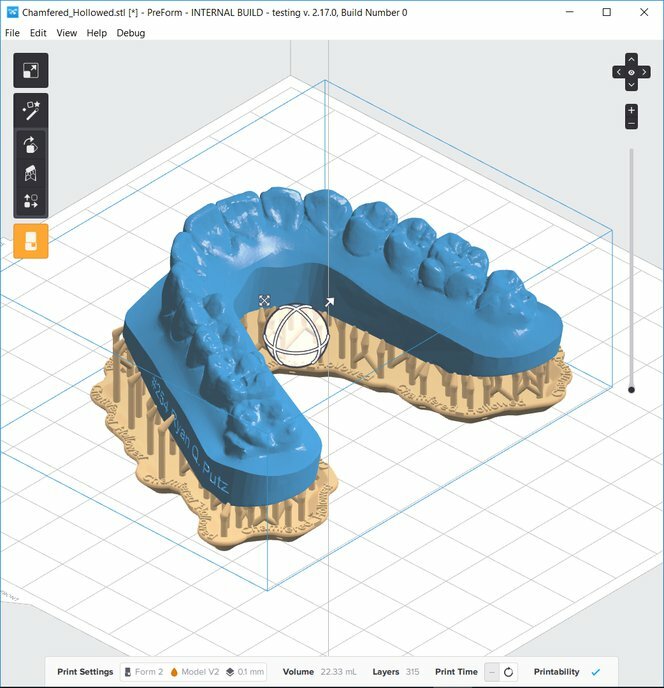 This application guide details the clear aligner and retainer workflow using a Form 2 3D printer, from start to finish. Import the scan data into the software. 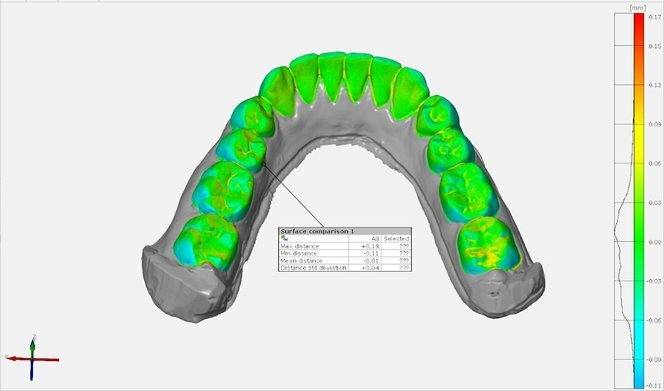 Depending on the quality of the data, the scans may need to be trimmed slightly below the gingival margin. Doing so can help minimize the model size and print time. Next, build a horseshoe arch base for the model. As clear aligners are usually cut to the gingival margin of the patient’s dentition, it is recommended to extend the base below the lowest point on the gingival margin by about 2 mm. 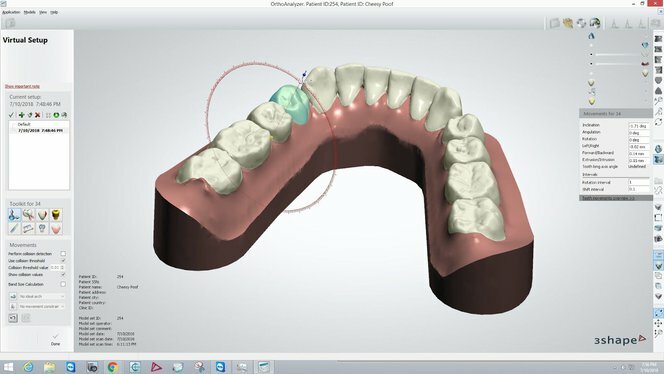 To design the orthodontic treatment, first section the teeth in the software, separating individual teeth from the complete model. Then, move each tooth to the final position. 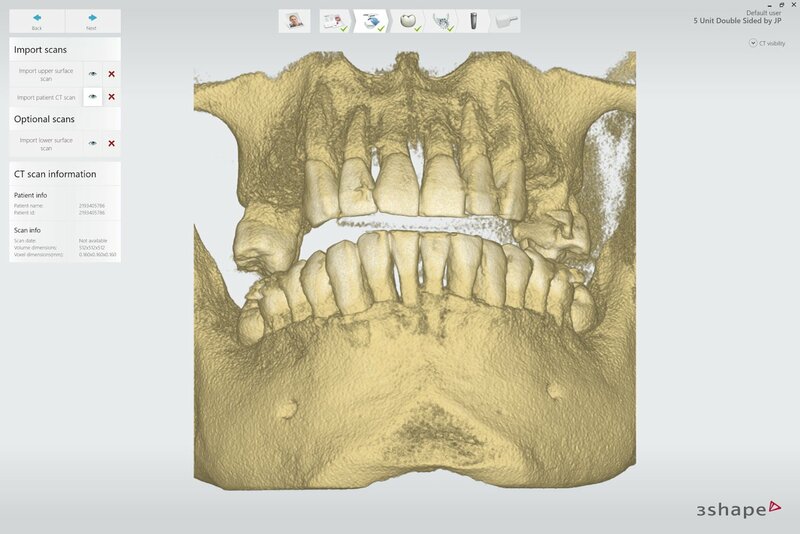 Subdivide the treatment plan into individual models with each stage moving the patient’s teeth by slight amounts. 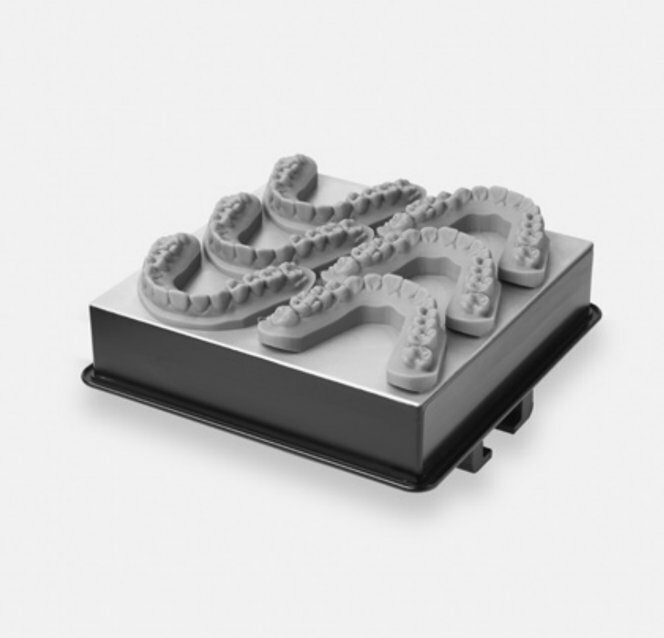 The number of generated aligners depends on the complexity of the case. 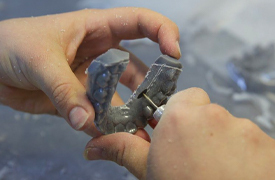 Orthodontic treatment design should be done by licensed orthodontists only. 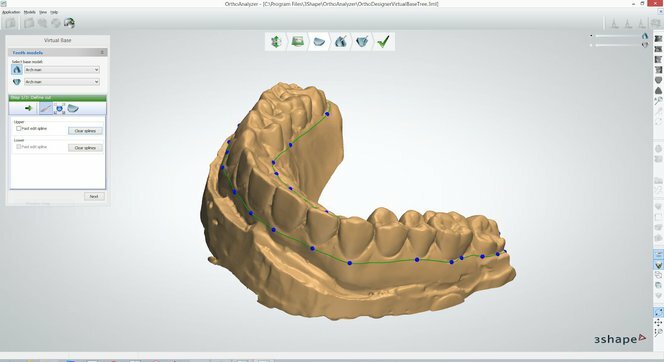 Orthodontic CAD software can simulate tooth movements that are not realistic or feasible. Chamfering the model base makes removing parts significantly easier. This can be done easily at the rear of the model with a plane cut tool. A chamfer angle of 30-45° is recommended, with a chamfer height of 2-3 mm to allow space for a part removal tool to be easily inserted. 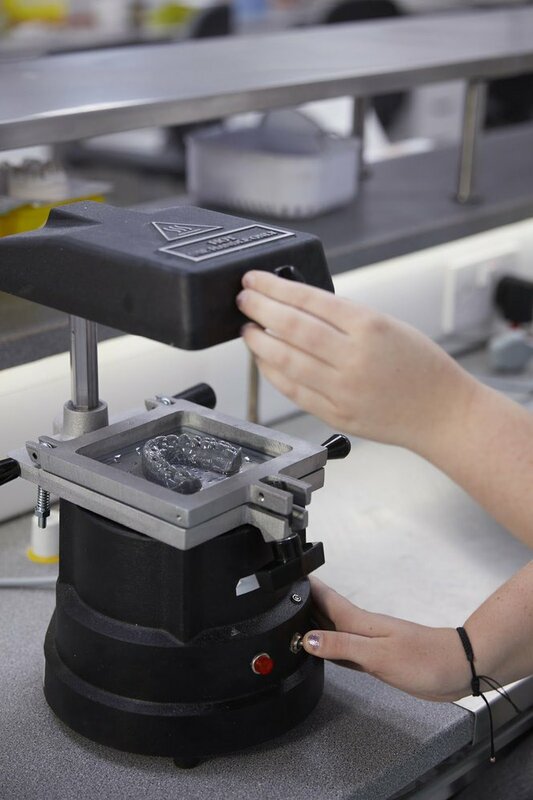 Embossing identifying information on printed models can be very helpful for high-volume aligner production. 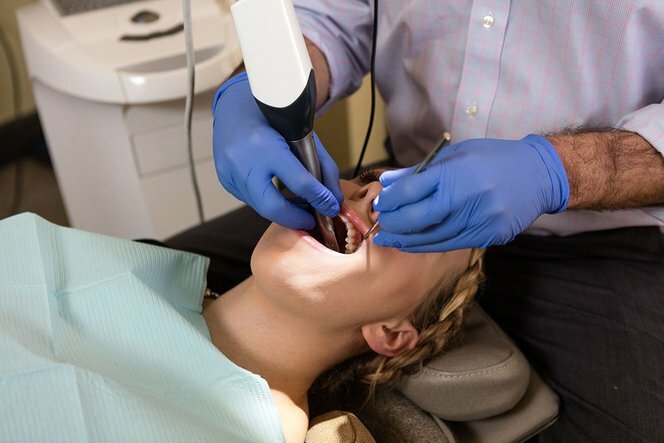 A treatment stage number, ID number, and/or patient name can be embossed anywhere below the gingival margin except on the base of the model. To ensure optimal printability, place the embossed information on the vertical wall of the extended base. 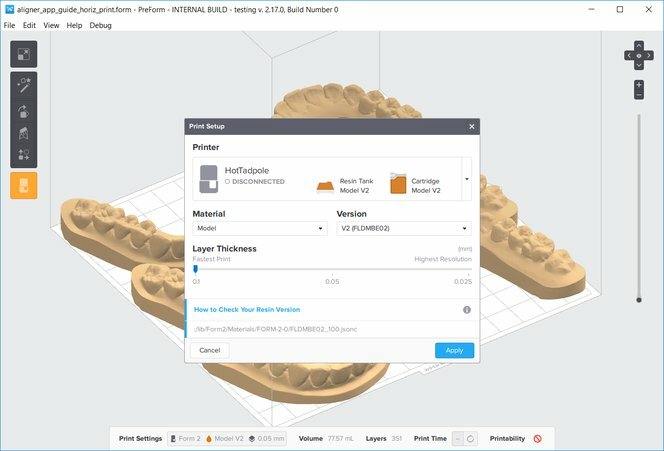 Hollowing the model can improve print time and reduce unit cost, although this feature is only available in certain orthodontic CAD softwares. If hollowing a part, ensure that wall thickness is at least 2-3 mm thick. 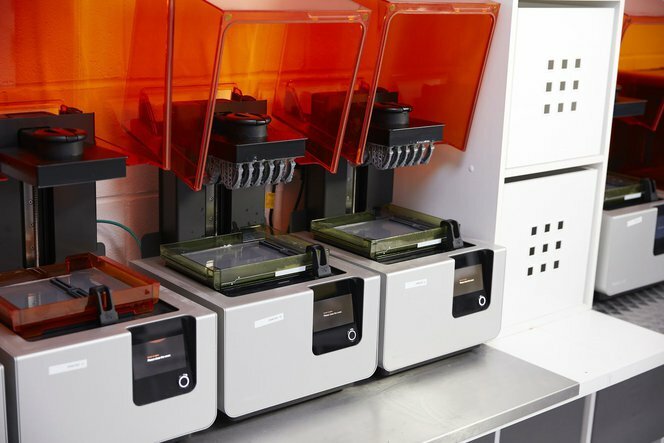 Formlabs recommends printing solid models to reduce post-processing difficulty. Export models for each treatment step in STL or OBJ file format. 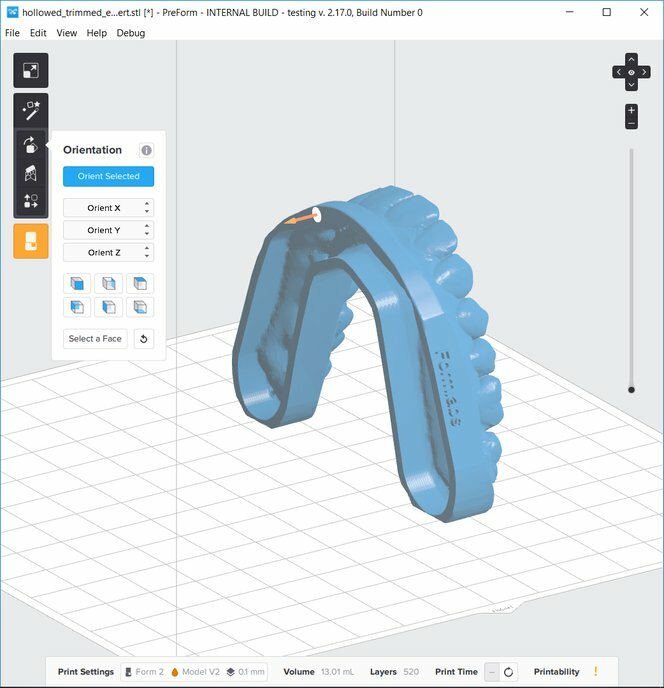 Open PreForm and import the generated STL or OBJ file(s). In the ‘Print Setup’ menu in PreForm, choose the printer to be used based on its name, a unique combination of two words. Select “Model” or “Grey” from the Material menu, and 0.1 mm for the layer thickness. If printing parts directly on the build platform, the models must have a flat surface. The slicing tool on the right-hand side can be used to double check correct snapping of the part to the platform. To orient the base of the part directly to the build platform, select the base of the model in Orientation > Select Face. 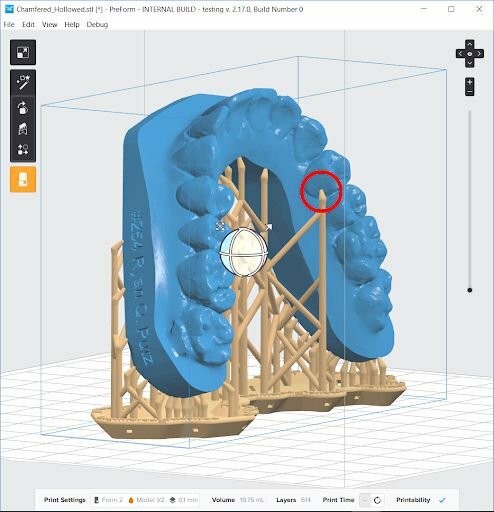 Printing with supports makes part removal significantly easier and more consistent, but requires additional print time for the base and support pillars. Orient the model with the occlusion facing up and away from the build platform. Orienting models at a 15° angle or greater is recommended. Lower angles improve print times. Higher angles allow for a higher density of models to be printed in the same build. 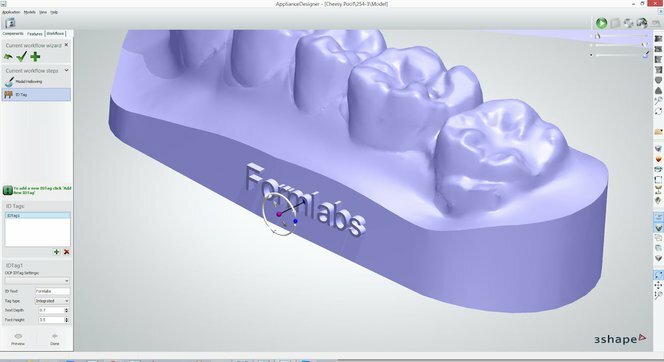 Generate supports using PreForm’s auto-generation feature, then inspect the model to ensure that there are no supports touching tooth surfaces or the gingiva. For improved print consistency, a point size of 0.7 mm for supports is recommended. 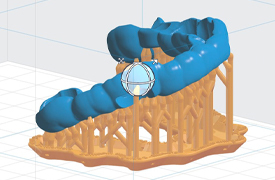 Remove any stray supports in Supports > Edit, or orient the model with a less steep angle. Thoroughly agitate the resin cartridge by shaking and rotating it several times. 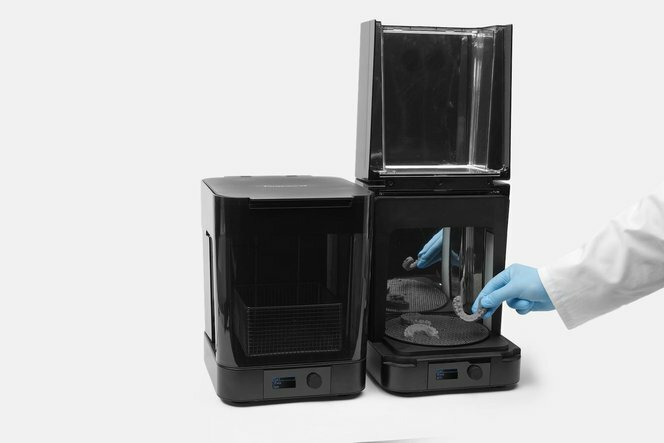 Insert a resin tank, the Dental Model or Grey Resin cartridge, and a build platform into the printer. Place the build platform, with the models still attached, in a Form Wash filled with isopropyl alcohol (IPA), 90% or higher. Alternately, remove the models from the build plate and place them in the included basket for washing. Set Form Wash for 10 minutes to clean the parts and remove excess resin from the models. 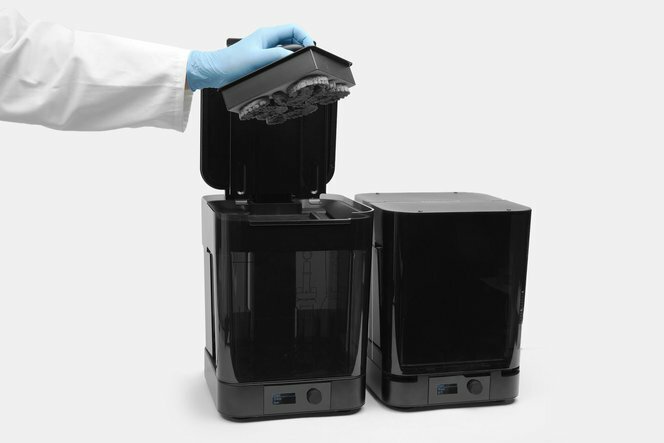 Formlabs recommends using Form Wash for optimal resin removal and surface finish. If using the Finish Kit, remove parts first from the build platform with the part removal tool. Rinse the parts in two buckets of isopropyl alcohol (IPA), 96% or higher for an initial bath for 10 minutes, and a second bath for 5 minutes. Use a compressed air hose to blow IPA away from surfaces. Inspect parts closely to ensure all uncured resin has been removed. Repeat wash if necessary. If compressed air sources are not available, simply leave the parts to air dry before inspection. 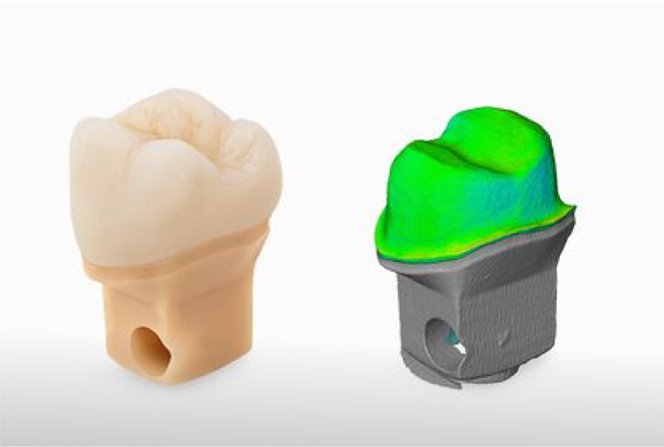 Expose dental models to light and heat for optimal mechanical properties, accuracy, and precision. 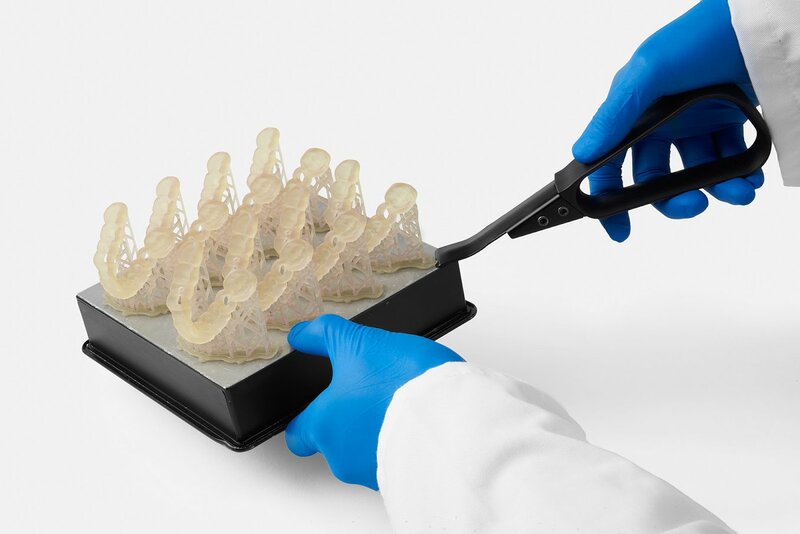 When using Form Cure, place the printed models inside Form Cure and post-cure for 30 minutes at 60 °C. 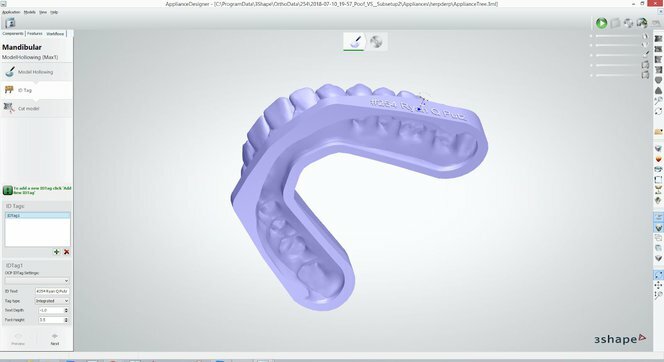 From this step, the workflow is identical to the traditional workflow for creating clear aligners and retainers. 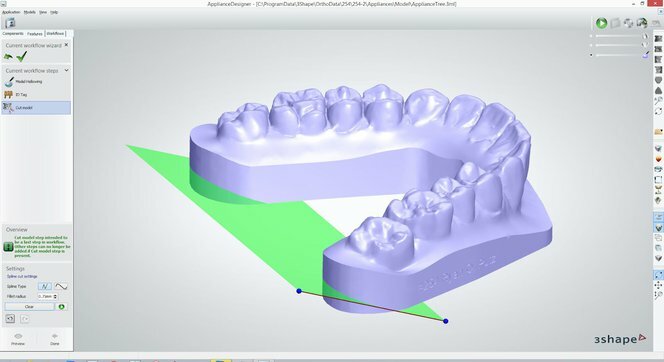 Use a dental thermoformer machine on the printed model to form the clear aligner, using the recommended settings for the thermoformer and material being used. 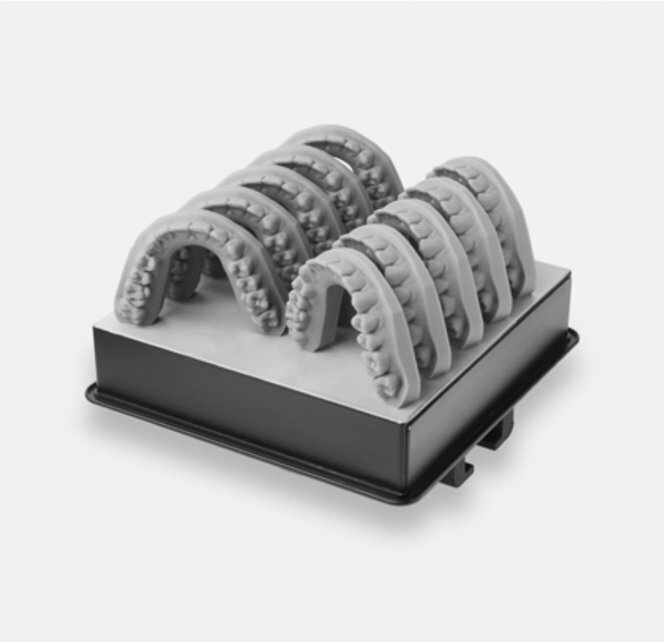 Depending on the aligner material being used, if the model base is too tall, the resultant aligner walls will be too thin. Ensure that the models generated are short enough for the recommendations provided by the manufacturer. 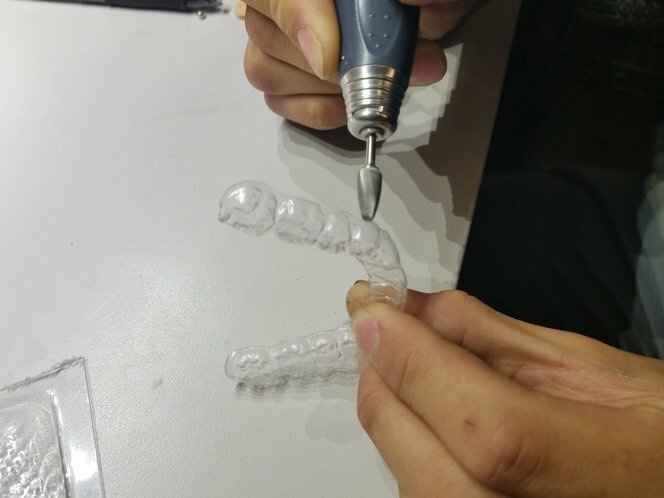 Generally the recommendation is to keep model height below 19 mm..
Make an initial cut below the gingival margin using a rotary tool with a diamond disc attachment, then remove the aligner. 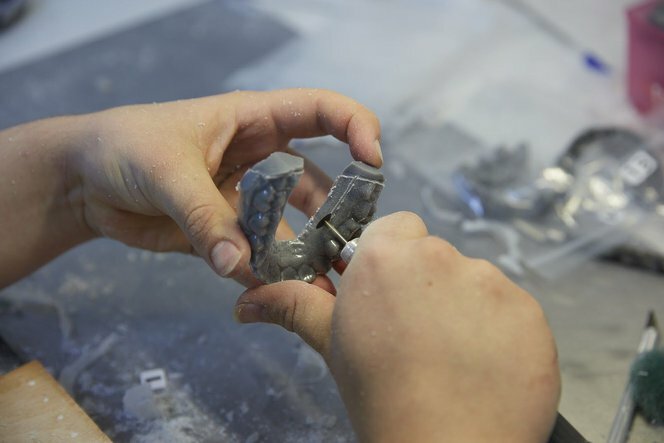 To prevent fusion of the aligner and the model, avoid using a hot knife when removing the aligner from the model. Smooth edges and remove burrs by cutting closely along the margin using a rotary tool with a carbide bur attachment. Thicker attachments can help to efficiently cut closer to the gingival margin. 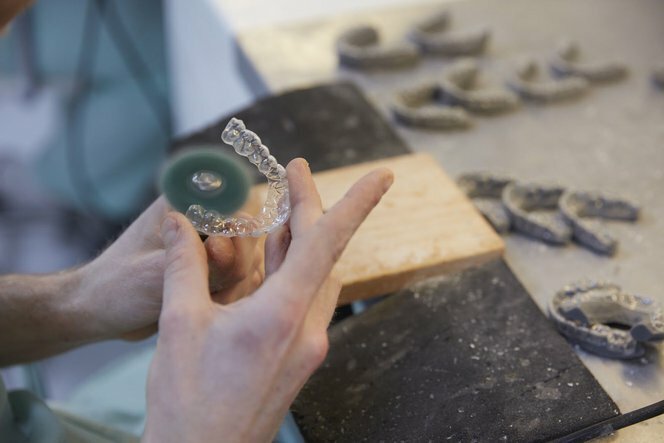 Use a polishing wheel to smooth all edges of the aligner. 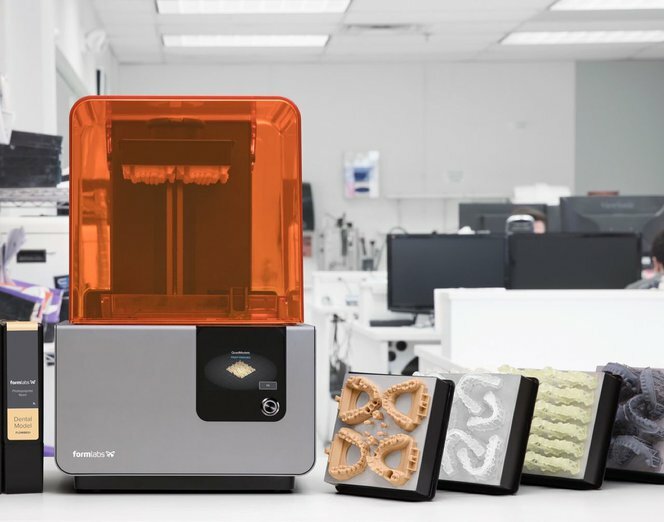 An in-depth accuracy study showed that dentition of orthodontic models printed on the Form 2 were dimensionally accurate within ±100 microns over 85 percent of surfaces, providing a precise clinical fit. 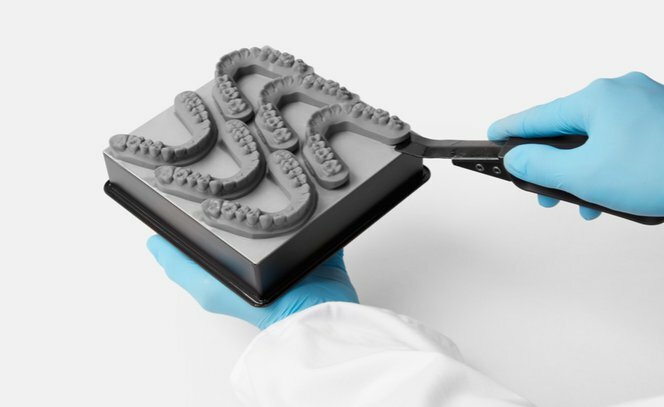 This was found to be similar across both Dental Model Resin and Grey Resin, both at 0.05 mm and 0.1 mm layer thicknesses.